FMEModules proudly announces achieving yet another milestone of becoming an official PrestaShop partner as a web agency. It is a long journey towards helping merchants reach their target audience through innovating solutions for their eCommerce website. FMEModules has always been a helping hand for clients around the globe in extending functionality of a website, adding a feature, or redesigning for perfection. PrestaShop is one of the reliable eCommerce platforms that is hosting more than 250,000 online stores worldwide. It maintains quality standards for web agencies to secure the title of being an official partner. A PrestaShop marketplace is reliable for its users to trust the themes, plugins, and modules for improving navigation, the user experience, and optimizing a web shop for higher conversions. To offer their users the best of tools and plugins, it strictly screens out the poorly programmed applications, and award the best ones with partnership agreements. FMEModules is one among the competent names to serve the PrestaShop community with ingenious and bug-free eCommerce solutions through its official account of AlastairBrian. 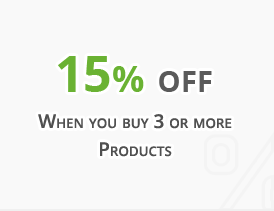 PrestaShop is a stand-alone eCommerce platform that does not depend on other programs to function properly. Being a dedicated platform, it has modules and themes of its own in abundance and constantly increasing with the skillful contribution of professional developers and agencies. We take the pride in helping business to stand out from the crowd by developing an eCommerce website with the robust PrestaShop application. It gives them the freedom to select any kind of business, implement a sale model, configure a payment gateway, and add lots of options for making the online store a dream shopping corner. How may it benefit our customers? Being an official PrestaShop partner means a lot for FMEModules, its professional developers and designers, and clientage. The designer and developers can have the access to interact with the entire PrestaShop community, whereas our customers can lot of benefits in finding solutions right on the official marketplace. 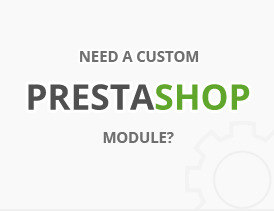 PrestaShop modules are tested and certified for security by PrestaShop itself. 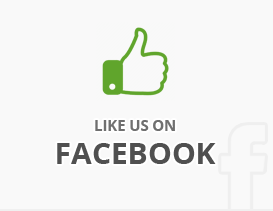 So, the customers can quickly find reliable modules and applications right on the platform without visiting the page. Merchants and store managers can add a function with a quick installation of reliable and error-free tools. With an extended community visibility, the online sellers can find our free applications pre-installed in PrestaShop. Additionally, the paid ones can be accessed from the back office to easily buy and install. The display of modules through promotional banners also makes them visible to a concerned group of users. The partnership agreement is bridging the gap between the designers, developers, and fan followings. It is bringing the customer closer to the experts to communicate the problem they face, discuss the possible solutions, and continue with a reliable one. Web design and development depends on the knowledge, skills, and expertise of a professional team. And, we house the notable names of the eCommerce development industry, who go out of the way to brainstorm captivating solutions for our customers. Building an online store can be easier, but updating it with the increasing customer’s expectations and technology challenges is difficult. FMEModules, being a market leader, is well groomed in updating web shops to the latest PrestaShop version, improving its performance, removing conversion barriers, and contributing to the overall business success. Note: FMEModules is famous for developing top of the line PrestaShop Modules and providing quality customization services to PrestaShop store owners.